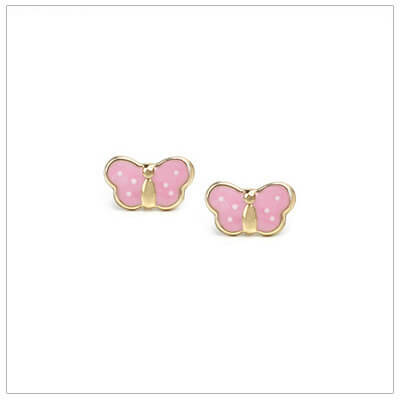 Adorable pink butterfly earrings for babies and toddlers. 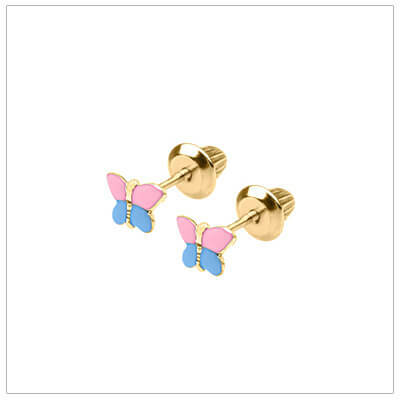 These earrings are 14kt yellow gold and enamel. 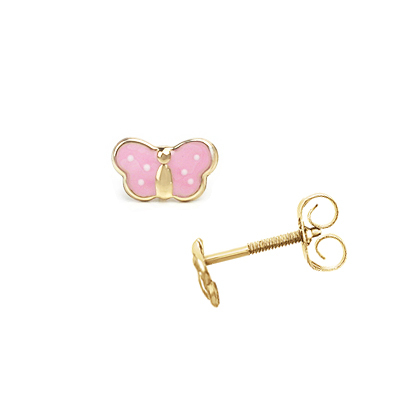 Our butterfly earrings come with 14kt gold push-on, screw-off' safety backs. 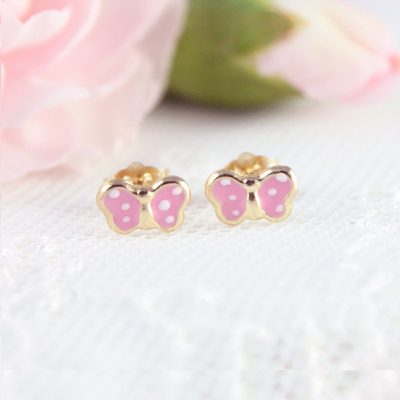 The backs will hold the earrings securely and prevent them from being lost. 14kt gold earrings and backs. 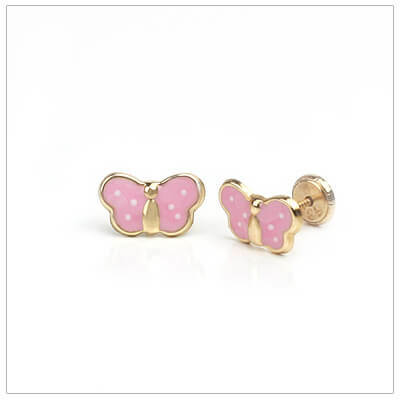 Butterflies measure 4mm x 7mm. 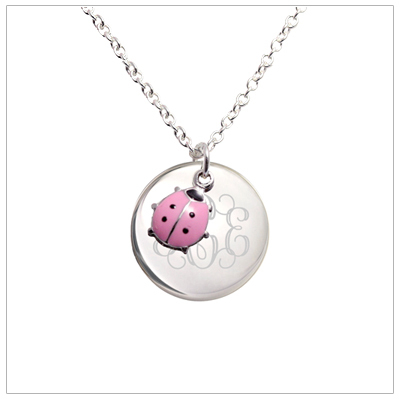 Fine quality baby and children's jewelry in 14kt gold. 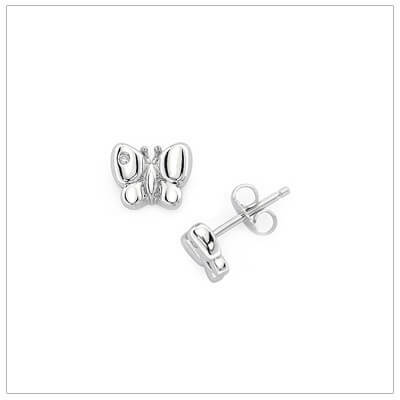 The baby earrings on this page have push on, screw off backs. The earrings were so cute and well made. I know that whatever I purchase will be high quality. I also have never seen such adorable packaging. 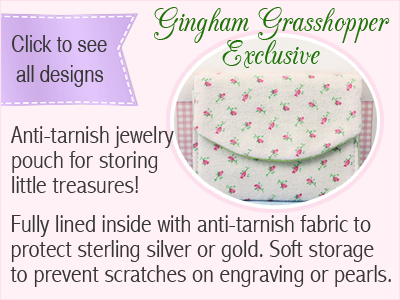 I am always confident that my granddaughter will love what's inside once she sees the purpose gingham ribbon and grasshopper.